Chiayi County 2: Chen Mingwen 陳明文 (DPP) 69; Lin Derui 林德瑞 (KMT) 31. Hsinchu County: Peng Shaojin 彭紹瑾 (DPP) 54; Zheng Yongtang 鄭永堂 (KMT) 46. Taoyuan County Third District: Chen Xuesheng 陳學聖 (KMT) 49; Huang Renzhu 黃仁杼 (DPP) 40; Wu Yudong 吳餘棟 (IND) 7, Lin Xiangmei 林香美 (IND) 4. Hualian County: Bi-khim Hsiao 蕭美琴 (DPP) 44; Wang Tingsheng 王廷生 (KMT) 42; Shi Shenglang 施勝郎 (IND) 14. So I got Chiayi County 2 and Hsinchu County almost exactly right, and I messed up Hualian County and Taoyuan County 3. Oh well. I wasn’t too far off, and election predictions are hardly a scientific exercise anyway. In retrospect, I should have paid more attention to myself when I was discussing the underlying partisan structures of Taoyuan 3 and Hualian. Both seem to have changed from 2008 by similar amounts; Hualian was simply a bit more overwhelmingly blue to start with. By the way, one of the hardest things to predict is what will happen to third-party candidates. Third-party candidates often have wide gaps between their performance in the surveys and at the ballot box. Some candidates’ support simply disappears, most likely due to strategic voting. Others’ holds steady. Once in a while, a candidate with low support in surveys will produce an eye-popping vote count. From afar, it’s very hard to tell which will be the case with any particular candidate. This time, I came very close in predicting the three independent candidates. However, this was mostly luck. So that’s what happened. More importantly, what does it mean? From watching the talking heads on TV last night, it is obvious that you can draw nearly any lesson you want to. Some of the stories various people were pitching include 1) we are seeing a structural change in partisan attitudes, 2) negative campaigning doesn’t work, 3) the KMT reform isn’t working, 4) the KMT reform needs more time, 5) the KMT simply failed to mobilize its votes (but no real partisan realignment), 6) the DPP will sweep all five mayoral seats later this year, 7) Ma should resign as KMT party chair, 8) the KMT nominated poorly. Do I buy any of these? The short answer is 1) kinda, 2) no, 3) no opinion, 4) no opinion, 5) no way, 6) that’s a little premature, and 7) that’s silly. The ones I want to try to dig into are the stories about partisan realignment and mobilization. I think we are seeing a partisan shift, or perhaps a reversion to the alignment of 2003 or so. I think the mobilization story is fundamentally flawed. Let’s do mobilization first. The clearest version of the mobilization story I have heard is this. Last December, Peng Shaojin 彭紹瑾 ran for Hsinchu County executive and got 77,000 votes. He lost because the KMT candidate mobilized 97,000 votes. In this by-election, Peng Shaojin ran again and got 71000 votes. In other words, Peng turned out nearly every person who voted for him last time. (In fact, the DPP has gotten between 70000 and 80000 votes in Hsinchu County in numerous elections over the past two decades.) However, the KMT candidate this time only got 56,000, only about half as many as in December. In short, the DPP mobilized all its votes, while the KMT did not. This story is then fleshed out with a narrative of a divided KMT with key elites declining to work for the candidate in this election. The Hsinchu County KMT has two dominant figures, Qiu Jingchun 邱鏡淳 and Zheng Yongjin 鄭永金. In December, Zheng refused to support Qiu as county executive, backing a third-party candidate instead. Qiu won, but it wasn’t easy. The KMT tried to paper over this division by nominating Zheng Yongjin’s younger brother, Zheng Yongtang 鄭永堂, for legislator. Publicly, Qiu expressed his support, but the actual support never materialized. As a result, Qiu’s supporters did not turn out to vote for Zheng, and the KMT lost. The critical feature of the mobilization story is that there are no partisan changes. DPP supporters still support the DPP, and KMT supporters still support the KMT. The only question is whether the parties can persuade their supporters to show up at the ballot box. Thus, the reason the KMT has done so poorly in these by-elections is that the turnout has only been around 40%, as compared to around 60% in the 2008 legislative elections and 2009 county executive elections and 75% in the 2008 presidential election. Since no one thinks that turnout in any of the coming general elections will be 40%, we should only worry about what a 60-75% turnout election looks like: still very blue. These by-elections are simply an aberration. So the 15% of respondents who reported voting for Peng Shaojin in the county executive race continued to express support for him by an overwhelming 89% to 4% margin. So far so good for the mobilization story. However, 32% of the 38% who said they voted for Qiu in December expressed support for Peng, and 37% of the 17% who voted for Zheng Yongjin’s candidate in December said they would vote against Zheng Yongjin’s brother in February. This certainly sounds like Peng was picking up support from the KMT, not simply mobilizing his previous supporters. In other words, Peng may have gotten 70,000 votes again, but they weren’t the same 70,000 voters. A lot of them crossed party lines. Another way to attack the mobilization thesis is to look at election returns. In 2008, the KMT was enthused while the DPP was depressed, so the KMT should have had a marked advantage in mobilization over the DPP. In 2009-10, the roles were reversed. There are three basic patterns. In some counties, the blue camp’s vote fell while the green camp’s vote increased. In Taoyuan, for example the blue camp produced 70000 fewer votes in 2009 while the green camp increased its total by 80000. Hsinchu County, Yunlin, Jilong, and Hsinchu City also saw blue decreases and green increases. Second, many places saw both camps increase their number of votes, indicating that both were better at mobilizing in 2009 than in 2008. Ilan, Miaoli, Changhua, Nantou, Chiayi County, and Chiayi City followed this pattern. Then there is the third pattern, in which the KMT vote did not change markedly from 2008 to 2009 but the DPP vote increased dramatically. This was the case in Pingdong and Taidong. How can all these patterns occur with a simple story about mobilization? One could explain this by delving into the differences in the various county executive races. For example, in Yunlin, a popular DPP incumbent was expected to win re-election easily, so the energized DPP voters turned out while the demoralized KMT voters stayed home. Thus, the KMT vote fell while the DPP vote skyrocketed. Unfortunately, the story was almost exactly the same in Pingdong, except the KMT vote stayed the same. Moreover, Chiayi County also had a race that the DPP was expected to win easily, and the KMT vote was much higher than in 2008. Thus, we are expected to believe that demoralized KMT voters stayed home in Yunlin, voted at normal rates in Pingdong, and voted at very high rates in Chiayi County. The stories about counties the KMT expected to win easily are similarly contradictory. In Miaoli, Changhua, Jilong, and Hsinchu City, the KMT was widely expected to win by comfortable margins. In all of them, the KMT experienced a slight increase in its vote. According to the mobilization story, we would conclude that the enthusiasm over good prospects in the county race outweighed the national factors making it harder for the KMT to mobilize. Ok, but what about Taoyuan? The KMT’s vote dropped by 75,000. Maybe Wu Zhiyang 吳志揚 was so sure of victory that he declined to spend the money needed for a full mobilization. If so, he seems to have been the only one to dare to attempt the non-mobilization strategy. If non-mobilization were a viable electoral strategy, one would have thought that the winners in Miaoli, Yunlin, and Pingdong might have attempted it as well, but we see no evidence of this. Moreover, in light of the two-by elections in Taoyuan, it is equally plausible that Wu fully mobilized but that the KMT has simply become less popular. In sum, I simply don’t think the pure mobilization / no partisan change story is a viable explanation for what has happened over the past two years. I’m not arguing that mobilization doesn’t matter or that it isn’t part of the story. We all know that mobilization is critically important. However, political scientists have done a terrible job at explaining exactly how mobilization matters precisely because it is very complicated. Simplistic stories like the one I argued against are nearly nuanced enough. They are very appealing though, precisely because they are simplistic. They focus on one variable, the network of cadres that moves people to the polls. If you put in more resources, you get more votes. Taken to the logical extreme, this is an anti-democratic argument. No matter what happens, KMT voters will continue to support the KMT. It simply might be harder to get them to the polls. However, the democratically produced president/legislator is a function of resources, not of appeals and/or actual public opinion. As such, the legitimacy of such officials to act on behalf of the public should be discounted. This story is only partially wrong, but that part is critical. Mobilization and resources matter, of course, and can affect the outcome of an election. However, voters do change their minds, so party platforms, issue appeals, and scandals also matter. As a result, elections do not depend solely on resources. The difficult part is figuring out how mobilization matters in conjunction with changes in opinion. I accept the argument that it was harder to mobilize DPP voters in 2008 and harder to mobilize KMT voters in 2009-10. I do think that a lower turnout rate helped the DPP this time. However, I do not think that all DPP voters turned out and only part of the KMT voters did. A higher turnout rate likely would have helped the KMT, but only slightly. For example, the turnout in Chiayi County 2 was 38%, and Chen Mingwen 陳明文 won 68-32%. If the turnout had doubled, Chen would almost certainly still have won handily, though not by quite as overwhelming a margin. Perhaps it would have been something like 64-36%. In that case, the half of the electorate that didn’t turn out (but would turn out in a presidential election) would have preferred Chen by a 60-40% margin. Of course, that is just a guess. We do have some evidence of the effect of different levels of turnout. For example, the legislative election in Jan 2008 had a turnout of 58%, while the presidential election of March 2008 had a 76% turnout. There was very little difference in the vote share of the camps. The presidential election was 58.5-41.5%, while the legislative election was 55.2-40.4%. Since independent votes tend to come mostly out of the blue camp’s vote share, the two are roughly equivalent. Since we think that the KMT was enthused in 2008, their voters should have turned out more heavily in the first 60%, and the DPP should have benefited from the higher turnout. Thus we have to invent some story about how Ma Yingjeou 馬英九 is a great candidate (or voters were sick of President Chen 陳水扁), candidate effects offset the turnout effect. I don’t believe this. I think the same partisan effects drove both elections. After years of staring at voting returns, I have come to the tentative conclusion that turnout above 60% really doesn’t affect partisan results. Another way of saying this is that almost everyone who can be mobilized has already been mobilized by 60%. Higher turnout comes from voters outside the mobilization networks, and they tend to split their votes among the parties in nearly the same way that the first 60% do. However, turnouts below 60% start to affect partisan outcomes. In jargon, there is a non-linear relationship. So, given that I think that there has been some partisan shift since 2008 and that turnout below 60% matters, where does the partisan balance stand right now? Nearly half the electorate has voted in the past six months, so let’s compare them to a benchmark, the party list vote in the 2008 legislative election. That’s 26 races: nine by-elections and 17 county executive races. In three of the county executive races, the DPP did not have a candidate. In 22 of the other 23 races, the DPP increased its vote share. (In Chiayi City, the DPP vote share declined by 1.4%.) The smallest gains were 4-5%, but most of the gains were 10% or more. 8 races saw the DPP gain more than 15%. You can tell a soap opera about each election and explain the outcome in purely local terms. However, when the same thing happens in district after district, you have to start looking for national-level explanations. In other words, the DPP’s popularity has significantly increased since early 2008. How much has the KMT slipped and the DPP risen? These 26 districts are slightly more favorable to the KMT than the national average. In 2008, the national balance in the 2008 legislative party list was 55.2-40.4%. Among the nine districts that had by-elections, the 2008 balance was 59.8-34.8%. In the 17 counties that elected executives last December, the 2008 balance was 57.1-37.8. It does not bode well for the KMT that it could only manage a 47.9-45.3% advantage in the county executive races. A 20% edge in early 2008 was cut to less than 3% in late 2009. If this 16.7% swing extended to the entire electorate, the DPP would hold a 1.9% advantage instead of a 14.8% disadvantage. As bad as the county executive races look for the KMT, the by-elections look worse. Originally, the KMT held 8 of the 9 seats. It now holds 2. Arguably, Yunlin 2 is a DPP-leaning district, but the other 7 seats looked like they were clearly more favorable to the KMT and the DPP won 5 of them. Where the KMT had a whopping 25.0% advantage in 2008, it ended up with a 11.8% deficit in 2009-10, an unbelievable 36.8% swing. These results don’t merely portend a KMT loss of power, they warn of a bigger DPP sweep than the KMT had in 2008. If even districts like Taidong, Hualian, and Hsinchu are in play, then the KMT only has two safe seats left (Jinmen and Lianjiang). Perhaps it is not that bad for the KMT. Remember, the by-elections generally had around 40% turnout. The exception is Nantou 1, which held its by-election on the same day as the county executive elections and thus had a “normal” 66.3% turnout. Not coincidentally, the KMT won Nantou 1. Its vote share slipped significantly, but not calamitously. I argued above that the 20% of voters missing in a 40% turnout would disproportionately favor the demoralized party, in this case the KMT. However, I also argued (with very little evidence) that the effect wouldn’t be too dramatic. It would probably only sway the final vote share by a few percentage points. With a 60% turnout, instead of 41.6-53.4%, we might get something like 45-50%. That is still a disaster for the KMT, though perhaps not of the same magnitude. There is another possibility. Perhaps the DPP simply does better in by-elections. The logic of this argument would go something like this. KMT campaigns tend to be more organization-oriented, while the DPP campaigns tend to be more issue oriented. With only a few election districts holding elections at any one time, the DPP can concentrate all of its rhetorical fire and oratorical superstars on a small number of voters. At the same time, with all eyes on a few districts, the KMT finds it much harder to run a “traditional” (read: corrupt) campaign. I am reluctant to bring up this argument since I don’t really believe it. You can easily make the opposite argument about the KMT concentrating resources. However, I am grasping for plausible explanations for implausible results in these by-elections, even given the 2009 county executive results. So where is the national partisan balance right now? My best guess is that the two parties are roughly even. Perhaps the DPP has a slight edge. How could this have happened? I have two answers, and I think both are basically correct. One answer is that President Ma has frittered away his entire electoral advantage in less than two years. By moving too quickly in opening to China, bungling the relief effort to Typhoon Morakot, and so on, he has alienated all the swing voters who supported him in early 2008. TVBS has done a series of polls on party image. The most recent was released on Jan. 20. They ask a series of questions, including whether you agree or disagree that the KMT (DPP) pays attention to public opinion, is honest and not corrupt, is energetic, values reform, is united, has the ability to reflect on mistakes, and is trustworthy. Opposition parties tend to do better on these questions, but during Chen Shui-bian’s term in office, it took a full four years before the KMT started to enjoy a clear advantage in party image. The held this advantage for roughly the last three years of Chen’s tenure and the first few months of Ma’s tenure. However, in less than two years, the trend lines have completely reversed, and now all these indicators are solidly in favor of the DPP. A second answer is that the KMT never had such a huge advantage. Ma’s landslide victory was not due to overwhelming public support for him or his party. Rather, the electorate was disgusted with the scandals of the Chen administration and was punishing his entire party. As the DPP steps away from the Chen era, we revert to a more realistic balance of power between the parties, one based on opinions toward the entire KMT and DPP rather than just toward the very polarizing Chen Shui-bian. I don’t mean to say that it is suddenly 2003 among the electorate again. Other interesting things have happened in the meantime. Geographically, the biggest change in the electorate has been a clear shift in the Yunlin-Chiayi-Tainan region to the DPP. I’ll almost certainly delve into this some other time. However, the biggest story nationally is that this Chen era is over. The DPP is a viable contender for power once again. Alas, this will not be an airtight argument. This is simply my gut-feeling after years of attempting to come up with something better. One of the advantages of a blog is that I can make these kinds of arguments. This would never get past a referee. Why 60%? 60% is merely a convenient number since almost all general elections have gotten 60% or more, and I have not been able to figure out any relationship between turnout and partisan results in general elections. Only by-elections have fallen significantly below 60%. Over the past year, most by-elections have had roughly 40% turnout. The 2008 presidential vote is nearly identical. The exception is Taidong County. Taidong produced nearly identical results in the county executive race and the by-election. However, aborigines voted in the county executive race, and aborigines heavily support the KMT. Subtracting them from the electorate in the by-election produces a narrow DPP victory instead of a narrow KMT victory. On the eve of the legislative yuan by-election, I thought I’d update the races and make some highly dubious predictions. Three of the races are shaping up mostly as I discussed in my previous posts. Chiayi County 2 is going to be a landslide DPP win. Stunningly, the KMT seems to have publicly given up on the race in Hsinchu County. KMT spokesmen are publicly only hoping to protect two seats, and they always mean Taoyuan 3 and Hualian. In Taoyuan, the race has degenerated into an ugly series of accusations that the other side is cheating, corrupt, an outsider, and so on. The KMT has largely ignored the two independent candidates and focused its attacks on the DPP candidate, Huang Renzhu 黃仁杼. Huang seemed like a much stronger candidate at the beginning of the campaign, but I think the KMT’s efforts to portray him as a small-minded, local, visionless, grassroots figure are taking some effect. Something very interesting, however, is happening in Hualian. The campaign has turned into a full-blown issue-oriented, not personality-oriented, campaign. One issue is dominating discussion: transportation. To understand this, we’re going to need some background. Here’s a map of Hualian County from Wikipedia. Hualian is in red. At the end of 2009, 4.5% of the total population lived in the three counties along the east coast. 2.0% lived in Ilan County, just north of Hualian County; 1.0% lived in Taidong County, just south of Hualian County; and the other 1.5% lived in Hualian County. Why do so few people live on the east coast? A quick glance at a topographical map answers this question. As you can see, it’s very hard to get from the Taipei area to Ilan County. It’s even harder to get from Ilan County to Hualian County. It’s not hard at all to get from Hualian to Taidong, since the East Coast Rift Valley is about 30km wide and runs from Hualian City at the northern mouth of the valley, to Taidong City, at the southern mouth. Currently, there are three ways to get from Taipei to Hualian. You can fly, take the train, or drive. Driving is a real drag. Ten years ago, there were two provincial highways going from Taipei to Ilan. One was a winding mountain road; the other was a winding coastal road. Both roads are heavily traveled two lane highways and are quite slow and dangerous. The coastal route, which most heavy trucks used, had the added disadvantage of going to Jilong City, not directly to Taipei City. Getting to Ilan is the easy part. There is one road going from Ilan to Hualian. This road is one of the most breathtaking roads in the world. The mountains rise straight out of the ocean over 1000 feet high in many places. (This is also true below the waves; the ocean floor is over 1000 feet below sea level. From mountain peak to ocean floor is probably less than 100 feet horizontally in many places.) For long stretches at a time, the road is carved out of the rock halfway up the side of the mountain. Since you follow the shape of the mountainside, the road can be very twisty and prone to collapse. In several sections, they have opted to build a short tunnel, but you can still see the old road going around the outside of the mountain. Over the past three decades, the road has gotten progressively safer but less beautiful as they have built more and more of these bypass tunnels. However, there is still plenty of scenic road left. On a sunny summer day, the ocean waters are a deep blue and the mountains are dark brown, except where covered with lush green vegetation. I’ve taken several memorable trips on this road, and it makes me happy every time. Well, unless it’s not a sunny summer day. When it is dark, when it rains, or both, this road is downright terrifying. Even when it’s bright and sunny, this road is very slow. About 5 years ago, it became much easier to get to Ilan from Taipei. The government built a beautiful new four-lane divided freeway. It cost a lot of money because it has several long tunnels deep underneath the surface. The longest tunnel is over 12km long. It also cuts the time to get to Ilan by more than half (unless, as is frequently the case on holidays, it has a traffic jam), and is far safer than either of the old roads. As you might guess, weekend tourism in Ilan is booming. It’s still very hard to get to Hualian or Taidong, however. Let’s return to the campaign. The DPP has never done very well in Hualian, and it didn’t have a local candidate willing to take up the fight. They nominated Bi-khim Hsiao 蕭美琴, who has likely spent more time in Ohio than in Hualian. I think a lot of what has happened is probably due to a short-term horizon. Hsiao had to have figured that her political career in Hualian would last all of two months, after which she would return to Taipei. She took the nomination as a service to her party, and determined to fight (and lose) the good fight. Since she had no reasonable chance of winning and wanted to bolster, not sully, her national image, she had no reason to descend into ugly mudslinging. Rather, she constructed a policy-oriented campaign centered around economic development and transportation. She is calling for several things, most notably for the government to subsidize half the price of bus and train tickets to Hualian and for Hualian businesses to be exempt from the operating tax. The latter is inspired by her shock and disbelief upon coming to Hualian and finding that Hualian’s level of development is roughly the same as Penghu’s. Penghu businesses have a special exemption from the operating tax, and Hsiao insists that the residents “behind the mountains” should get the same treatment. All of this would be just more cheap talk, but the DPP has introduced an “East Coast Development Act” in the legislature and pushed it through to the second reading. The DPP bill budgets NT50 billion (USD 1.6 billion) for east coast development. The KMT has reacted with its own version of the bill, but it provides for far less funding. I wonder how Hsiao ever managed to get the DPP to accept responsibility for her campaign promises. It must have been part of her conditions for accepting the nomination in the first place. “If I go, I’ll have to run on transportation issues, so you’ll have to support my bill in the legislature.” Of course, since neither she nor the DPP expected her to win, they probably did not expect to really have to pass or take responsibility for the financial consequences of these promises. One thing that Hsiao noticeably has not endorsed is the freeway plan. There is a plan to extend the Taipei-Ilan freeway all the way down the east coast. Public opinion in Hualian (and presumably Taidong) is solidly in favor of the freeway. There are two major reasons that it hasn’t been built: cost and environmental impact. I can’t judge the environmental issues, except to say that people around the rest of the island seem to be more worried about environmental impact than people in Hualian. Financially, this is a classic case of concentrated benefits and diffused costs. People in Hualian would benefit disproportionally from the road while paying only a small fraction of the costs. One estimate for the cost of the section between Ilan and Hualian was NT 89 billion (USD 2.8 billion). About 70% of that was earmarked for one especially long tunnel. The candidate stumping hard for the highway is independent Shi Shenglang 施勝郎. In fact, the KMT has accused Shi of only having one idea. Perhaps, but it seems to be a potent one. The Shi campaign is practically daring the KMT to match its appeal. County executive Fu Kunqi 傅崑萁 has publicly said that he will switch his support to the KMT candidate as soon as President Ma signs a statement that he will start building the freeway this term. The KMT has responded by attacking Shi almost as much or perhaps even more than Hsiao. I think this is a big mistake. In Taoyuan, the KMT has ignored the two minor candidates, and they seem to be fading into the background. In Hualian, the KMT has ensured that people think of this race as having three distinct choices. It is entirely possible that the KMT argument that a vote for Shi is really a vote for Hsiao may backfire by reminding voters that Shi is in the race. The KMT would have been better off by focusing on Hsiao and turning this into a choice between KMT and DPP. OK, how about some predictions? First, a disclaimer. I don’t have much confidence in my predictions. Each election is an incredibly complex phenomenon that we only see a very small slice of. This is true for people working 24 hours a day on the campaigns, and it is much more true for people like me who see the election from afar and in scattered little bits. Moreover, I rely heavily on past events to predict future events. One reason that the social sciences are much more difficult than the natural sciences is that people, unlike molecules, learn, adjust their behavior, and even strategically. My “predictions” are really just glorified guesses, and I expect them to be wrong quite often. I’m stunned by my own predictions. That would be DPP 3, KMT 1. According to the political map, the KMT should win the latter three seats handily. I can’t believe that I think the DPP will be close in all of them, much less win in two of them. I must be off my rocker. For reference, 29.7% of the total population lived in Greater Taipei (Taipei City, Taipei County, and Jilong City on the northern tip of the island. Hsiao has a BA from Oberlin and an MA from Columbia. Penghu is the chain of islands to the west of central Taiwan. The central government is investigating an alternate plan to upgrade the existing provincial highway by putting in a few tunnels in the most treacherous sections. This plan would cost about half as much as building a new freeway. It would also still leave east coast residents with a two-lane, unlimited access highway with large stretches of winding road. The new election commissions of the four new direct municipalities (Sinbei City, Taichung City, Tainan City, and Kaohsiung City) will be formed on March 2. Their first order of business will be to draw up electoral districts for the city council elections, a process which is supposed to be finished within two months. I assume the Taipei City election commission will also be finalizing its plan by that time. In a previous post, I laid out the districts and number of seats in each for Taichung City. This was from a newspaper article. I think their source was someone who should be involved in the forthcoming process, and I would not be at all surprised if what emerges is exactly what the story suggested had already been decided. However, nothing will be final until May, apparently. For reference, the election is scheduled for December. Hau Longbin 郝龍斌 (KMT) is going to be renominated in Taipei City. Taipei City should be a cakewalk for the KMT any time the party is not split. The best the DPP has ever done in any election in Taipei city is 46%, in Chen Shuibian’s re-election bid in 1998. There is no serious challenger to Hau, and he should waltz to another term. Well, he should, but he might not. He hasn’t exactly been a superstar in office. In fact, I’d say that the net effect of his first term has been to definitively remove him from the list of possible KMT presidential nominees in 2016. A recent poll even had Su Chen-chang beating him by three points. Don’t put too much faith in that, though. Right now, I’d give Hau a 99% chance to get the nomination and an 80% chance to win the general election. In Sinbei City, the KMT is in the process of settling on Zhu Lilun 朱立倫. Current county executive Zhou Xiwei 周錫瑋announced yesterday that he would not seek re-election. Immediately there was an outpouring of sympathy for Zhou, with everyone conveniently forgetting that before yesterday, the only people who wanted Zhou to run for re-election were members of the DPP. Zhu hasn’t publicly announced his willingness to accept the nomination, but he’s the only one in the running. Like Jason Hu 胡志強 in Taichung, this is a good move for Zhu on the presidential career path. Unlike Hu, Zhu will face a tough election this year, but if he wins, he will be on the short list for the KMT nomination in 2016 or 2020. He’ll only be 55 in 2015, so he could wait another term or two. However, two terms of governing Taoyuan and six years of Sinbei City would be a very nice resume for 2016. I haven’t yet mentioned the DPP candidates in Taipei City and Sinbei City. This is because we don’t yet know who they are. Everyone is waiting for Su Chen-chang to announce his intentions. I don’t know what Su is going to do, but allow me to indulge in a little speculation about what I think his, and the DPP’s, considerations should be. Su is going to be the DPP nominee for president in 2012. Oh, there are a couple of other people such as Lin Yi-hsiung 林義雄 and perhaps Annette Lu 呂秀蓮 who have illusions of being nominated, but they aren’t really serious challengers. The only serious challenger is Frank Hsieh, who lost the 2008 election. Hsieh doesn’t seem to be pushing for the nomination this time, and I don’t think there is a lot of enthusiasm for a rematch. Su is the guy that everyone is focused on. Unlike in 2008, the presidential nominee will not simply be a sacrificial lamb. 2012 is going to be a close race, and the DPP has a fairly good chance of winning it. I was shocked when I realized about a month ago that every time I saw Su on TV, I was thinking about him as the future president, not as the future losing presidential candidate. It’s hard to believe President Ma has squandered the seemingly limitless stores of political capital he had two years ago, but here we are. So Su’s choice has to be made with the primary goal of winning in 2012, not of winning in 2010. The United Daily News ran an editorial yesterday explaining that, now that the KMT has arranged for Zhu Lilun to be their candidate, Su has no choice but to run in Sinbei City. They argued that Su could not afford to show weakness, and if he didn’t run, he would be seen as shirking from the battle. This is nonsense. The real assumption is that the resources of the Sinbei City government can be deployed to affect a significant number of votes in the presidential election. I suppose holding city hall can’t hurt, but I don’t know that it would actually sway a lot of votes in a national election like this. In my experience, clientelism is most powerful at the local level, not the national level. I think that Su should not run in Sinbei City. There are several reasons. First, he could lose. Sinbei City is not a sure thing. Even though Su served as county executive for eight years, is viewed as having done a very good job, and has a vast network of local ties to draw on, the underlying partisan structure still leans blue. When Su ran for re-election in 2001, he faced Wang Jianxuan 王建煊, an outsider who started his campaign rather late. Still, Su barely won. Victory in 2010 is not a given. If he loses, this could cause irreparable damage to his presidential campaign. And given the field of alternative nominees, that would nearly be akin to handing a second term to Ma. From the DPP’s standpoint, this is a nightmare scenario. The DPP needs to protect Su. If having a viable presidential candidate means sacrificing Sinbei City, I think they must sacrifice Sinbei City. Second, the voters in Sinbei City also know that Su will be running for president in 2012. This will open several avenues of attack for Su’s opponent. Zhu will accuse Su of blocking younger talents because he is greedy and wants every post for himself. Zhu will ask Su how he plans to govern a very complex territory, given that he will be spending all his time, from day 1, running for president. (Remember, the presidential election is a mere 16 months, not 24 months, after the mayoral election.) Zhu will ask voters if they really want an executive who is thinking of voters in other areas and not looking out for their best interests. Do Sinbei voters want the best public policy for people in Tainan, Kaohsiung, and Changhua, or do they want public policies that are in the interests of Sinbei residents? Do Sinbei voters really want to wait until after the by-election after the presidential election for mayor who is focused on their city? Is the city government supposed to just drift aimlessly until then? Isn’t this, when the ugly stepchild has just been upgraded to a direct municipality, the most critical period and the need for hands-on leadership the greatest? Or will Su simply delegate everything to a trusted lieutenant, such as Lin Xiyao 林錫耀 or Wu Bingrui 吳秉瑞? Maybe voters should think of this as a choice between Zhu and one of those two. Zhu will undoubtedly suggest that voters who really like Su should vote for Zhu in this election and then vote for Su in the presidential election. After all, there is the possibility that Su would feel an obligation to Sinbei voters and decide not to run for president at all. Wouldn’t they feel bad if they lost a chance for their champion to be president? What’s that? That couldn’t happen because Su wouldn’t feel such an obligation to Sinbei voters? Oh, I see. Third, supposing Su wins the mayoral race and the DPP presidential nomination. The KMT will hammer him for abandoning his constituents and/or being lax in his obligations to Sinbei City. It is not as if he has already governed Sinbei for 6 years and has everything under control. His mayoral campaign will inevitably accuse Zhou of doing a lousy job and point to a wide array of problems that need to be fixed. However, he won’t have enough time to be able to credibly claim that he fixed anything. In other words, this seat will be a millstone during the presidential race, just as the presidential race will be a millstone during the mayoral race. Fourth, during the 16 month interlude, he might be too distracted to do a good job in office. Wait, this is not relevant. Fifth, if Su doesn’t run, it’s not a foregone conclusion that the DPP would lose Sinbei City. This is going to be a hard-fought race no matter who runs. With nine months still to go, it’s impossible to say that Tsai or Hsieh couldn’t win. After all, it still looks like this is going to be a green year. Still, I think that Su’s best option is to sit out this election altogether. By not running in any single race, he can run hard in all the races. Su will turn into the national campaign chair. The evening news will juxtapose Su with Ma every night, talking about where they went, what they said, and how they were received. Su won’t have to waste time talking about Zhu Lilun or Hau Longbin; he will be able to go directly after Ma for two solid years. He’ll also be able to spend these two years developing white papers and other policy positions for the presidential campaign rather than for Taipei or Sinbei alone. This factor alone, being better prepared for the presidential campaign, should outweigh any losses that come from the potential loss of the resources of Sinbei or Taipei. Well, that’s what I think. Su undoubtedly sees it differently. So, other than Su, who does the DPP have for Taipei City and Sinbei City? Party chair Tsai Ying-wen will probably run in one of the races. Tsai has done a magnificent job of leading the party’s out of the darkness of the Chen era. There is some thought that she quite likes being party chair and will try to stay there. However, if she wants to move up and eventually take a shot at the presidency, she needs to make a move now. Party chair is traditionally not a spot of power. She doesn’t lead her own faction, and she has never won an election. She doesn’t have a long history within the party, and there are people who resent her current popularity or think that she’s a lightweight. She needs to win an election, put together a loyal team, govern effectively for a while, hand out a few contracts, and prove that she has real staying power. Sinbei City makes a lot of sense for her. She could try Taipei, but she would almost certainly lose and confirm her critics’ suspicions that she is just a wishy-washy intellectual who doesn’t understand real politics. If she can win Sinbei City and govern it effectively, she sets herself apart as the first real post-Meilidao 美麗島 leader of the DPP. I don’t know who the other nominee might be. Frank Hsieh is the obvious person, but I wonder if we might not get someone completely different. This is complicated by the fact that the DPP got wiped out in the Taipei area in the 2008 legislative elections, so there aren’t many candidates from the usual source. In Sinbei City, Zhao Yongqing 趙永清is perhaps the best positioned to make a run at mayor. He lost in 2008, but his district, Zhonghe 中和, is a very tough one for a DPP candidate. He and his family have been running in county-wide races for thirty years, so he has some ties to draw on. He also has a very good image, with a specialty in environmental policy. In Taipei City, I can’t think of anyone local who is not too radical (Yeh Chu-lan 葉菊蘭), too inexperienced (Duan Yikang 段宜康), too old and unacceptable to his party (Shen Fu-hsiung 沈富雄), or too tainted by association with Chen Shuibian (Luo Wen-chia 羅文嘉) to mount a serious challenge to Hau. The only person that I can think of as a reasonable candidate other than Su Chen-chang, Tsai Ying-wen, or Frank Hsieh is Su Jiaquan 蘇嘉全, the current party secretary-general. He doesn’t seem very interested in running for anything right now. However, the DPP nominations won’t be decided until May, so there’s plenty of time for other candidates to announce their willingness to serve if Su Chen-chang passes. I’m not putting China Times polls in my survey section because I can’t find their official reports. They don’t seem to have a website in which they officially release these result. They don’t even have stories on the China Times website about these polls. I only find reference to these polls through other media. I heard about this poll driving home tonight, saw it referenced on the TV news, and I’m quoting the actual figures from a story on the Liberty Times website. I also know nothing about how China Times polls are produced. When I knew something about the world of polling in Taiwan ten years ago, I could be pretty sure about the quality of United Daily News, TVBS, and ERA polls. I never had the same level of confidence about China Times polls. Maybe the situation has changed, but I’d feel better if I could read a report. Most of the top DPP figures were involved in the Meilidao (Kaohsiung) Incident in 1979, including Chen Shui-bian, Frank Hsieh, Su Chen-chang, Annette Lu, and Chen Chu. One of the consequences of redrawing the administrative lines by creating direct municipalities is that the Central Election Commission will have to recalculate how many seats each county or city gets. By my calculation, the new Tainan City will get another seat and Nantou County will lose one of its seats. In the past, the CEC has reapportioned seats every election cycle, so I see no reason that they would not do so again for the next election. I’m pretty sure that Taiwan uses a largest remainder system to apportion its seats. In the 2008 election, there were 16,586,854 eligible voters in the nominal tier, or 230,912 for each of the 73 seats. However, you can’t directly use this as the quota since every county is constitutionally guaranteed a seat. If you only consider the counties with more than 230,912 eligible voters, you have 67 seats to apportion to 16,199,125 voters. Dividing 16199125 by 68, the quota is 238222. There are 58 full quotas, and the remaining 9 seats are apportioned to the counties with the largest remainders. The last seat goes to Nantou County, which has 1.62 quotas. Nantou County thus gets two seats while Tainan County, which has 3.56 quotas, only gets three seats. However, Tainan City is also underrepresented, with 2.40 quotas. If you combine Tainan County and Tainan City, the new entity has 5.96 quotas. Since .96 is larger than .62, Tainan, not Nantou, would get the last seat. This change would almost certainly have partisan consequences, since currently the KMT holds both Nantou seats while the DPP holds all five of the Tainan seats. It’s also a little reminder that the institutional rules have consequences. Even without changing a single vote in the electorate or having anyone move from one address to another, we can, by simply erasing a line, change the balance of power. I’m not sure if they use eligible voters, actual residents, or registered population to apportion seats. I don’t think there would be much difference. The races for mayoral elections at the end of this year are starting to take shape. While we don’t know for sure just who the nominees will be yet, we’re starting to get a pretty good idea. One thing that is looking increasingly likely is that all five races will have only two serious candidates. None of the smaller parties look to be girding themselves for a battle, and it seems less likely by the day that one of the nominations will go so badly that the loser will launch an independent bid. Of course, there will be a couple of turkeys, such as Fang Jingjun 方景鈞 in Taipei City and Lin Jingyuan 林景元in Kaohsiung City. (Fang has run in everything for as long as I can remember. I wonder if he thinks he gets to count his cumulative votes. He’s probably well over 10,000 for his career.) Overall though, these are looking like they will be straight one-on-one slugfests. So there are ten nominations to be had. Let’s look south to north. In Kaohsiung City, there is a monster battle going on between two strong candidates for the DPP’s nomination between Chen Chu 陳菊, the incumbent mayor of Kaohsiung City, and Yang Qiuxing 楊秋興, the incumbent executive of Kaohsiung County. Both are considered to have done very well in office, but the polls say that Chen is significantly more popular. TVBS put out a poll on Jan. 25 that had Chen leading Yang 45-21. She led in every important category, including in Kaohsiung County. This has not been a dirty fight, as both are running on their very strong records. They also have pledged that the loser will serve as the winner’s campaign manager, so it looks very unlikely that the loser will launch an independent bid. I expect them to campaign hard until the telephone polls are held in May (the DPP determines its nominations by telephone surveys), and I expect Chen Chu to win a clear victory. I also expect Chen to win the general election. Kaohsiung is not an unwinnable race for the KMT, as many analysts seem to assume. The two parties are fairly even in Kaohsiung City, and the DPP has a slight edge in Kaohsiung County. Overall, the DPP would have a slight edge in a generic election in a generic year, but only a very slight edge. This year, however, the national trends are in the DPP’s favor, and either Chen or Yang is better than anything the KMT has to offer (with the possible exception of Wang Jinping 王金平, who is not running). So odds are good that Chen will win the election, but don’t put it in the bank just yet. Who will the KMT’s nominee in Kaohsiung be? Lots of names have floated around. Huang Zhaoshun 黃昭順 has been the most active in seeking the nomination. Huang is a six-term legislator whose father was a member of the Control Yuan way, way back in the 1980s. (I have a pencil holder on my desk with her picture on it, a souvenir from her 1998 campaign. According to the Jimmy Carter theory of campaigning, now I have to support her.) Another KMT legislator, Hou Caifeng 侯彩鳳, announced that she was ready to fight for the KMT nomination a few days ago. My initial reaction? Landslide! The KMT has made inquiries to Legislative Yuan Speaker Wang Jinping 王金平 as to whether he would run. He would have the best chance of anyone, but he’d still be fighting an uphill battle. Besides, his current position is arguably better, and he is firmly ensconced there. There is no risk for him. (A lot of people think that Ma is trying to remove Wang and replace him with a more compliant Speaker. To which I ask, is there anyone else who can forge compromises as well as Wang? And, more compliant???) There are a couple of legislators in Kaohsiung County, Zhong Shaohe 鍾紹和 and Lin Yishi 林益世, who I have a fairly high opinion of. Both won their seats fairly easily in tough districts, and I think both would put up a competent, if not winning, campaign. However, neither seems to be getting much airplay. The latest person to float up is former Penghu County executive Lai Fengwei 賴峰偉. Having a Penghu politician is not such a stretch since Kaohsiung traditionally views Penghu as part of its hinterland. On the other hand, I don’t know that Lai has any more support than any of the others. The TVBS poll used Premier (and former mayor) Wu Dunyi 吳敦義as a stalking horse in their poll, even though there’s no way he is running. He beat Huang Zhaoshun 29-25. Both of them lost head to head with either Chen or Yang by a lot. The closest pairing was Yang over Wu, 47-30. The biggest landslide was Chen over Huang 60-20. So what do I think? There are currently five realistic names (Huang, Hou, Zhong, Lin, Lai). Other than Hou, I think they are fairly interchangeably. Any of them can get 40%, but not much more. Everyone expects Tainan to be a DPP landslide, and with good reason. The DPP has a small but clear edge in Tainan City and a huge edge in Tainan County. This year, when everything is trending toward the DPP, Tainan is a steep, steep climb for the KMT. To make matters worse, they really don’t have anyone capably of making the climb. The names that keep floating up here aren’t members of the B team, they’re much lower than that. Two former Tainan County legislators, Li Quanjiao 李全教and Guo Tiancai 郭添財, have announced their availability. Guo lost his re-election bid in 2004, and Li tried but failed to win a spot on the party list in 2008. I read somewhere that Minister of Education Wu Qingji 吳清基 is outpolling both of them, but he still loses by large margins to any DPP candidate. Today, the TV told me that the KMT leadership’s favored candidate is Xie Longjie 謝龍介, to which I asked my TV, who the hell is Xie Longjie? Turns out he is a former member of the Tainan City Council who won the nomination for Tainan City mayor last May before the election was cancelled (due to its being upgraded to direct municipality). This is not impressive. From the KMT’s side, there are no reasons to expect anything other than a DPP landslide. From the DPP’s side, there is one. The DPP nomination is far from settled, and there is a chance that the losers won’t agree to lose. I don’t think it is a big chance, but a divided DPP is the KMT’s only realistic scenario to win Tainan. Promising races attract candidates like flies, and six local heavyweights announced that they would make all the heavy personal sacrifices necessary to ensure the protection of the people’s welfare. Three have since dropped out, but three remain. The youngest, Lai Qingde 賴清德 leads the polls. Lai is a legislator elected from Tainan City. He has been a solid, though perhaps not spectacular legislator. Su Huanzhi 蘇煥智 is the Tainan County executive. Su came up through the New Tide Faction, and made his name by refusing to compromise on several environmental issues. It is this stubborn streak that makes me wonder if he will not accept defeat. Hsu Tiancai 許添財 is currently mayor of Tainan City. Hsu has a history of flouting party discipline. He was lured back to Taiwan from the USA in 1992 to run in the legislature. When he was not re-nominated in 1995, he ran anyway and caused the defeat of Zhang Canhong 張燦鍙, one of the DPP nominees. In 1997, Zhang ran for mayor as the DPP nominee, and Hsu ran against him. Zhang won, but Hsu pulled a lot of votes. After Zhang’s corruption-ridden term ended in 2001, the DPP pulled Hsu back into the fold and nominated him for mayor where he has served since. Su and Hsu have both been good in office, but where I think of Chen and Yang in Kaohsiung as roughly A and A-, my impression of Hsu and Su is more like B+ and B. On Jan 5, TVBS published a poll on the DPP nomination. (They didn’t bother asking about the KMT nominees.) The result was Lai 22%, Hsu 15%, Chen Tangshan 陳唐山 11%, Su 10%, Li Junyi 李俊毅 3%, and Ye Yijin 葉宜津 1%. They used Vice Premier Zhu Lilun as a KMT stalking horse, and all three of the remaining candidates beat him handily. Lai and Hsu won 46-30, while Su won 42-34. I don’t know how the polls have changed in the last month and a half, but I’m pretty sure that the KMT isn’t going to be putting up anyone nearly as good as Zhu. May is still a long way away, and the three are close enough in the polls that any of them could win. As long as the others agree to lose, it really doesn’t matter which one actually does win. The Taichung race is officially over. Jason Hu 胡志強 has agreed to run. Taichung is a blue-leaning area that can only go green when everything goes right for the DPP. The national trends are in place, but they can’t beat Hu. One amusing poll found that Hu was the KMT’s best candidate not only in Taichung, but also in Tainan and Kaohsiung. In Taichung, the only other candidate being seriously mooted is Liao Liaoyi 廖了以. Liao was Taichung County executive from 1989-97 and has been working in various high-level party and government positions since then. He is also a leader of the Red Faction in Taichung County. The current county executive is Huang Zhongsheng 黃仲生, who is a member of the Black Faction, but I haven’t heard much about him running. I think the Black Faction is probably throwing their lot in with Hu. A TVBS poll of Jan 8 gave Hu an overwhelming 59-11 edge over Liao. The DPP does not have a good candidate for Taichung. The most active candidate has been Lin Jialong 林佳龍. Lin is a Yale PhD in political science. His advisor was Juan Linz. He specializes in semi-presidential systems and … oops, I drifted back into my other life there. Besides Lin effectively left academia about five years ago and is now a professional politician. He has already gotten trounced once by Jason Hu, losing the Taichung City mayoral race in 2005 by a 58-39 margin. The one thing I’m pretty sure about is that no one in the DPP is very enthusiastic about a rematch. The only other name that I’ve heard is Qiu Taisan 邱太三. Qiu also lost in 2005, losing the Taichung County executive race by an equally embarrassing 59-39 margin. Well, someone has to represent the DPP, right? The TVBS poll used Frank Hsieh as its DPP stalking horse. Hsieh beat Lin 31-21, but both lost to Hu by wide margins (57-22 for Hsieh, 62-17 for Lin). Maybe Hsieh will actually run; he’s developing into the DPP’s designated candidate in hopeless races. For me, the more interesting question is about Jason Hu’s future as a presidential candidate. Hu was born in 1948, and the KMT nominee in 2012 will be Ma. In 2016, Hu will be 68 years old, so that is his last shot at the presidency. The question is whether Taichung City is a suitable platform from which to launch a presidential bid. In the past, I would have said that it is not. However, the new and expanded Taichung City is a different animal. It has roughly the same population as Taipei City. It won’t have as big a budget as Taipei, but Hu will have a significantly larger amount of money to throw around than he has now. Most importantly, mayors of direct municipalities have broad appointment powers, and Hu will be able to put together a team that can work toward the presidency. The importance of putting together a team cannot be underestimated. Both Chen and Ma brought lots of people from the Taipei City government into the national government. Lian Chan built his network of cronies as governor and then premier. Soong did the same as governor. Taichung is also the prime battleground, the place where the-DPP dominated south and KMT-dominated north meet. Whoever wins Taichung will almost certainly win the election. The one are in which Taichung is really deficient is in media. Taipei, as the center of everything, gets a lot more media attention than anyone else. Taipei City, however, will probably not be producing the KMT’s nominee in 2016. The current mayor, Hau Longbin 郝龍斌, has probably eliminated himself from contention with his lackluster performance. Hau will certainly contest and probably win another term, but the Taipei City mayor in 2015 will almost certainly be someone who has just started a term and is not ready for a run at the presidency. As things currently stand, it similarly seems unlikely that a KMT presidential candidate would come from either Tainan or Kaohsiung. That leaves either the mayor of Sinbei City or someone in the central government as the only other possibilities. Vice-President Siew is too old, and Premier Wu doesn’t look like he’s going to make it to the end of Ma’s first term, much less to 2016. Ideally, I think Hu’s best bet is to serve most of this term as mayor of Taichung, and then move up to premier two or three years before the election. You don’t want to become premier too early, since premiers tend to have short shelf lives. In other words, another term in Taichung seems like an entirely reasonable path to the presidency to me. Zhang Canhong 張燦鍙, one of the godfathers of the overseas Taiwan movement in the 1970s and 1980s, would probably be horrified at my use of the (PRC) pinyin system to romanize his name. I think he preferred George Chang. Too bad, I’m in a pinyin mood today. Just for reference, I’d give Hau (Taipei City) about a C+, Zhou (Taipei County) a D, and Hu (Taichung City) an A-. Not that I have anything objective to base these grades on. Giving out grades is just a hard habit to break. With the passing of the amended Local Government Act 地方制度法 last month, we know the sizes of the new city councils for the five direct municipalities. Since these are the highest level SNTV election left in Taiwan, I’m enthralled by them and will be paying far more attention to them than anyone else of the course of the next year. But first, a bit of background info. Taiwan used to have a four, maybe five tier system of government. Under the central government, all territory was separated into provinces. After the ROC lost mainland China, all that was left was Taiwan Province 台灣省 and a teeny slice of Fujian Province 福建省. Under the provinces, territory was separated into counties and county-level cities. 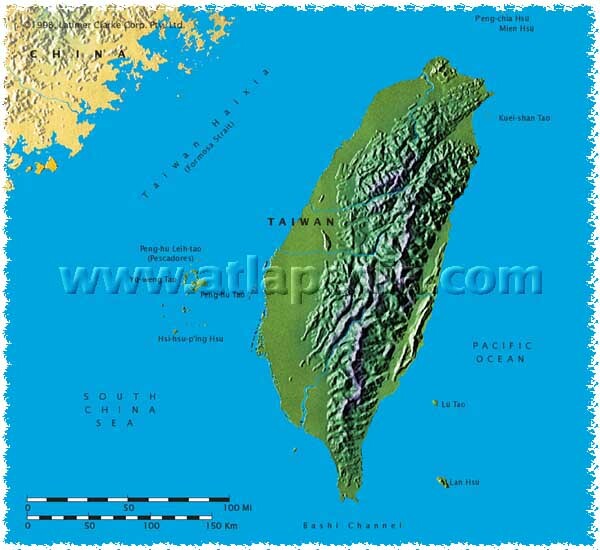 So Taichung City 台中市 and Taichung County 台中縣 were of equal status underneath Taiwan Province. Fujian Province had two counties, Jinmen County 金門縣 and Lianjiang County 連江縣. Actually, most of Lianjiang County is still on the mainland and the ROC governs only a couple of islands with about 5000 people, but it still counts as a full county in ROC organizational terms. Under the counties, territory was separated into township-level governments. Depending on how urbanized it was in the 1950s, it was classified as either a city 市, town 鎮, or village 鄉. So Nantou County 南投縣 has 13 townships, including Nantou City 南投市, Caotun Town 草屯鎮, and Mingjian Village 名間鄉. The county level cities also have township-level entities, called districts 區. However, unlike cities, towns, and villages, which elect their own mayors, district heads are appointed civil servants. Finally, underneath the cities, towns, villages, and districts, you have cun 村 and li 里 (which are often translated as wards, boroughs, and/or villages). Cun and li are usually have 1000-5000 people, and don’t have any real independent powers. Rather, they are organizational units that the higher level governments use to implement policy. Their heads are elected, however. Villages have cun, and the other three have li. (English simply doesn’t have enough words to translate all these terms well, so in the previous sentence I might as well have written, “villages have villages underneath them.” Sigh.) Oh, and the provincial government was gutted in 1998. Are you still awake? Well, in 1967, the government decided to elevate Taipei City 台北市 to a direct municipality, with status equal to a province. In 1976, Kaohsiung City 高雄市 was also elevated. Direct municipalities are different from county-level cities in several respects. First, under the old non-democratic regime, municipality mayors were, like the Provincial Governor, appointed rather than elected. That, however, changed in 1994, so now all are elected. Second, direct municipalities have much better funding. They get a different set of tax revenues and end up with a much larger budget than county governments. As such, direct municipalities have much better public infrastructure. Third, mayors of county governments can only appoint about four people. Everyone else is a civil servant. In contrast, mayors of direct municipalities can appoint lots of people, including the heads of all the city government departments and districts. So life is much better as mayor of Taipei City than as mayor of Hsinchu City 新竹市 (county-level city). This year, after years and years of political wrangling, three more direct municipalities will be created. Taipei County 台北縣 (which has a larger population than Taipei City) will be elevated. It is also changing its name to 新北市, which the Taipei Times (my favorite source for translations) is rendering as Sinbei City. I would have preferred New Taipei (a la New Delhi). The new Taichung City is being created combining the old Taichung City with the old Taichung County. Similarly, the new Tainan City combines Tainan City and Tainan County. Finally, the new Kaohsiung City will expand the old Kaohsiung City (which was already a direct municipality) to include the old Kaohsiung County. Maybe now I’m finally ready to get to the actual post. The Taipei City Council will actually be increasing in size from 52 to 63. This means that each district is going to get one or two extra seats. Hooray! It’s a great time to be a candidate there. Incumbents have a little more breathing room, and new candidates will be able to get nominations. Taichung, Tainan, and Kaohsiung are exactly the opposite. They will be bloody. The number of seats will be reduced by anywhere from a third to a half. A newspaper article gave the plan for the new districts in Taichung City. They were debating on whether to use the legislative districts, each of which would have around eight seats or keep the old districts and simply cut the number of seats in each. As of now, they have decided to keep the old districts. As you can see, a lot of incumbents are going to become unemployed at the end of the year. For new candidates, it will be next to impossible to get a nomination. It will be hard enough for the incumbents to get nominated. I don’t have the district by district breakdown for Tainan and Kaohsiung yet. Tainan will almost certainly have to redraw its districts, since the current ones are fairly small. This certainly was a long-winded way to say Taipei—easy; Sinbei—normal, Taichung, Tainan, and Kaohsiung—meat grinders. Ok, what about the four seats up for election next week. Well, there aren’t any of our bellwether districts among the four. Chiayi County 2 is a very strong DPP district, while the other three are heavily blue. The other three races are on decidedly pro-KMT turf. In the table above, Taoyuan 3 is 64-32, Hsinchu County is 70-23, and Hualian is 73-23. Even if KMT popularity has slipped significantly, these should still be safe KMT seats. Only if you think that the Taidong County by-election was an indicator of a new island-wide political reality rather than a freak local occurrence should you think that the DPP might be expected to win any of these seats in a straight fight. However, that seems to be exactly the line that most of Taiwan’s media has swallowed. Again and again, I read or see someone point to the “Taidong Experience” as a reason that the KMT will win Hualian. More people seem to expect the DPP to sweep all four seats than expect the KMT to win two of them. Personally, I think the KMT has done a masterful job of lowering expectations so that if they win two or three of the seats, they’ll be able to claim they have been re-energized (under Secretary General King Pu-tsung 金溥聰) and things are now different. Taoyuan 3 is entirely in Zhongli City 中壢市, and it covers about 90% of the city. Unfortunately for the KMT candidate in this race, the best 10% is not in this district. This district is 64-32 blue; the 20,000 or so votes in Taoyuan 6 went blue by a whopping 77-19. Zhongli is traditionally part of the Hakka heartland, but the ever-expanding Greater Taipei region has sent more and more non-Hakkas into this area looking for cheaper housing. There is also a heavy military and mainlander presence in Zhongli, though a large number of them are in the other legislative district. The TVBS surveys indicate that this district is currently about 45% Hakka, 40% Minnan, and 12% Mainlander. The DPP candidate is Huang Renzhu 黃仁杼. I can’t tell you much about Huang other than that he was a member of the county assembly for several terms. He ran for Zhongli mayor last December and lost a three-way race by only 1,000 votes, a very good showing for a DPP candidate in this very blue city. But let’s not make too much of it, it was, after all, a three-way race and Huang only got 37%. Huang seems to be a classic grassroots candidate. He isn’t making much of a splash in the media, and he just seems to be a solid, though limited, candidate. The blue side is much more fun. The KMT made a hash of their nominations. This was one of King Putsung’s 金溥聰 first big decisions when he took over the KMT party machinery. King decided that he wanted to match the DPP by nominating either an image or grassroots candidate according to their choice. He had two grassroots possibilities, the mayor and deputy mayor of Zhongli City, and one image candidate, Chen Xuesheng 陳學聖. King ran some polls and found Chen in third place. However, he found he couldn’t nominate one of the grassroots candidates without provoking a backlash from the other, and in the meantime, the DPP had nominated a grassroots candidate. So he nominated Chen, the image candidate. This prompted the mayor to announce his enthusiastic support for Chen and the deputy mayor, Lin Xiangmei林香美, to announce her candidacy. So basically, King didn’t achieve any of his goals. He didn’t match the DPP candidate, and he didn’t avoid a party split. In fact, he legitimized the split by publicly admitting that Lin had more support than Chen. Chen Xuesheng is an interesting character. He started out as a member of the Taipei City council in the 1990s, but he was bright, ambitious, and by all accounts performed well in office. He moved up to the legislature in 1998, and he was convinced that he would take over as Taipei City mayor in 2006 after Ma’s two terms. However, he lost his LY re-election bid in 2004. Oops. (Why did he lose? I published an article on strategic voting and strong candidates in SNTV elections.) With his ambitions in Taipei in tatters (and Hau Longbin steamrolling to the nomination), Chen announced that he was moving to Kaohsiung City, where he would run for mayor. Well, that didn’t work out so well. A couple of years ago, he landed in Taoyuan in the county government under Zhu Lilun 朱立倫 (who was then Taoyuan County Executive, is now Vice-Premier, and is rumored to be the KMT’s favored candidate in Taipei County later this year). I’m guessing that Zhu had something to do with this nomination. Chen is not a great fit for this district, since he isn’t local and he isn’t Hakka. However, he does have a track record as an effective, idealistic, and honest legislator. He needs a district, and Zhongli is blue enough that his partisanship alone should be enough. The media seems ready to hand this district to Huang and the DPP, but then the national media can’t seem to imagine that the DPP could lose any race right now. The polls say that Chen has a small lead, but polls must be interpreted, not simply read. You have to account for voters who don’t live in the district but will return home to vote, low turnout, strategic voting, poll-fatigue among respondents, and a few other things. The polls also say that Lin Xiangmei and Wu Yudong 吳餘東 (who I don’t know anything about other than that he served a couple of terms in the county assembly) are drawing significant support. Support for third candidates that seems solid in surveys often dries up in the voting booth, so we’ll see. Presumably, these two are taking more votes away from Chen than from Huang, so if their support vanishes, Chen should be the beneficiary. In short, the best reason to believe that Huang will win is turnout. Turnout should be low, and the prevailing assumption is that energized DPP supporters will vote and demoralized KMT supporters will not. That seems like a fairly risky assumption to me. If I had to bet, I’d bet with, not against, the partisan structure of the district and throw my money on Chen. Hsinchu County is, on paper, even bluer than Taoyuan 3. In 2008, the party list vote was 70-23. However, partisan attachments are not as solid here as in most of Taiwan. During the 1990s, the DPP had a string of successes and held the county government for 12 years. There are two KMT heavyweights who have dominated local politics for the past decade, and this current by-election is still largely about them. Zheng Yongjin 鄭永金 started out as speaker of the county assembly, moved up to legislator, and just finished two terms as county executive. Qiu Jingchun 邱鏡淳 was a member of the provincial assembly, then a legislator, and was just elected county executive in December. In the 2005 county executive race, Qiu wanted to challenge Zheng, but was persuaded to step aside and wait his turn. In 2009, Zheng did not return the favor by supporting Qiu. Instead he put forward his own candidate, and Qiu had to fight a bitter campaign. The antipathy runs deep between these two. The KMT would have certainly preferred to let these wounds heal a bit before launching into another campaign, but they have to fill Qiu’s vacated seat in the legislature. The KMT surprised many people by nominating Zheng Yongjin’s younger brother Zheng Yongtang 鄭永堂 for the empty seat. Perhaps King Pu-tsung thought giving each heavyweight a piece of the pie would keep them both in his camp for the 2012 election. However, the immediate result will probably be an election debacle. Publicly, the Qiu faction elites are saying the polite things about Zheng Yongtang, but I don’t think they’re working for him. They’re probably working against him to the extent they can keep their actions hidden. Or it might be that the voters, not the leaders, are the ones who can’t bring themselves to cooperate with Zheng. The DPP candidate, by the way, is Peng Shaojin 彭紹瑾, though he might as well be a toaster since this election is all about the KMT. Peng is a former prosecutor who made his name in the judicial reform movement. He served a couple of terms in the legislature, winning his seat in Taoyuan County. In 2008, Taoyuan didn’t have enough spots for all the DPP politicians, so he moved south to his original home in Hsinchu County. He hasn’t exactly lit the district on fire in his past campaigns. The polls show Peng with a healthy lead, and I think he will probably end up winning. If he does, let’s not get carried away and start claiming that the DPP is now the dominant party in Hsinchu. Hualian is probably the hardest race to understand. This is usually the case. Years ago, a friend from Hualian tried to explain to me why I couldn’t understand what was going on there by saying that voters in Hualian never vote for anyone, they only vote against. Ok, I’m still confused. 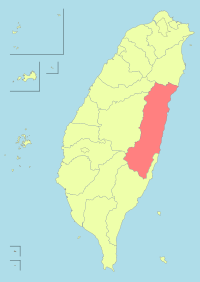 Demographically, Hualian is the most diverse county in Taiwan. The common saying is that each of the four major groups (Minnan, Hakka, mainlander, aborigine) has a quarter of the population. This is not quite accurate, though no group has a majority. Minnan voters are roughly 40% of the population, and Hakka and Mainlanders are considerably less than 25%. Since this is a legislative election and the aborigines have their own constituency, that 24.3% of the electorate doesn’t vote in this race. TVBS breaks the district down as roughly 60% Minnan, 25% Hakka, and 10-15% Mainlander. Hualian is also a very blue county. In fact, according to my favorite table (see previous post – if only I knew how to create links…), Hualian is the blue camp’s best district in Taiwan at 73-23, losing only to Jinmen and Matsu, the two islands off the China coast. Unlike Hsinchu County, this partisanship seems fairly solid. The best the DPP has ever done in Hualian is 43% in the 1997 county executive election. That was, of course, the year everything went right for the DPP. Other than that year, the green camp’s best showing was 34% in the 1998 legislative election. Unfortunately, the 34% was split between two candidates, and both lost. Normally, the DPP has been between 20% and 30%. This year, the DPP doesn’t even have a local candidate. They had to parachute in someone from Taipei (more on her later). So how could the KMT possibly lose this race? On the other hand, there are actual candidates in this race, and maybe we should think about them. The KMT has nominated Wang Tingsheng 王廷升. Wang is a professor at a local university, and, more importantly, his father Wang Qingfeng 王慶豐 was county executive in the 1990s. Wang thus has his own network of supporters (and probably a set of people who oppose him) deeply embedded into the political fabric. Much of the national media coverage has been focused on the DPP candidate Bi-khim Hsiao 蕭美琴. Hsiao is a figure with a national profile, having served in several highly visible party and government positions during the Chen administration. She has no connection with Hualian, but agreed to attempt what she called this “mission impossible.” She has run an aggressive campaign, talking a lot about economic development on the east coast, but it’s hard to tell just how much effect her publicity has actually had. The polls show this to be a very close race, which is, in and of itself, a major victory for the DPP. Many of the same questions that I raised in the section on the Taoyuan 3 election also apply here. Will Shi Shenglang’s support disappear in the actual voting? How low will turnout be, and will this favor one party or another? As in Taoyuan, I tend to think that the underlying blue advantage is just too overwhelming for the DPP to win this seat. Strange things happen from time to time, but it’s probably not wise to expect them to happen. In thinking about these races, I have written a lot about local and particular factors. Maybe it is a good idea to end by coming back to the national factors, which clearly matter quite a lot. The KMT’s popularity has slipped significantly since 2008, so that what was a 73-23 district in Hualian is probably now a much smaller KMT advantage. We don’t know how much things have changed, but we’re pretty sure that they have. No matter who wins the seats, the DPP will almost certainly do very well. Just remember that three of the four seats are being fought on decidedly pro-KMT turf. If even these districts have close contests, the KMT is in real trouble nationally. Here’s an example of how you have to be careful with polls. The sample in most recent TVBS poll is 61% Hakka, 28% Minnan, and 7% mainlander. I’m pretty sure the actual percentage of Hakkas in Hsinchu County is closer to 80%. Why would the survey be so far off? One possibility, and this is just speculation, is that TVBS doesn’t have enough interviewers who are fluent in Hakka. I don’t have any idea how undersampling Hakka voters might affect the horse race. A couple of people have tried to remind me that the DPP won a legislative seat here way back in 1992 by parachuting in former DPP chair Huang Hsinchieh 黃信介. This, they claim, is a precedent and proves the DPP could win this election. Pshaw! That was a two seat district. The first KMT candidate got nearly twice as many votes as he needed and the second got just fewer than Huang (after they subtracted the extra ones he stuffed in the ballot boxes). There was also a third KMT candidate who came very close to winning. Huang got a little less than 22% of the total votes. In other words, this was roughly a 73-23 district back then, too. So we all know that the 2008 Legislative Yuan elections were a bloodbath for the DPP. With the new MMM system and the overall 55-40 advantage for the blue camp over the green camp, the DPP ended up with only 27 of 113 (24%) seats. Most of us assumed that the DPP made a huge mistake in agreeing to the new system. In fact, it goes further. Aborigines’ seats typically all go to blue camp. In fact, in all the different sorts of national elections (legislative, national assembly, provincial assembly), the DPP has only won one seat. (Chen Ying 陳瑩 won a legislative seat in 2004. Her father was an old KMT politician, and she relied heavily on his networks. Her election did not signify a new partisan regime.) Depending on how and who you county, aborigines make up 1.5-2.0% or so of the total population. Since they are acknowledged as a disadvantaged group with a special place in Taiwan, they have always been overrepresented in the legislature. In the 1998-2008 legislature, aborigines had 8 of 225 (3.6%). Now they have 6 of 113 (5.3%). I don’t know why the DPP agreed to this. So according to the rules, roughly 3% of the population that is reliably blue elects 11% of the seats in the new system, up from about 6% in the old system. That sounds like a solid case of malapportionment to me. It also sounds like a significant systemic advantage for the KMT. If the DPP wants to govern, it should need to get quite a bit more than 50% to overcome this malapportionment. Just for fun, I took the 2008 presidential vote and cut it into the 73 SMD districts. Since the KMT won 58-42, not much different from the blue camp’s victory in the party list (55-40), I didn’t expect a much different outcome. In fact, it’s basically the same. The DPP actually won 13 seats in 2008, but the green camp led the blue camp in the party list tier in 15 districts. For the presidential election, the green camp led in 16 districts. What about the 2004 vote? If we wanted to know what a DPP majority would look like, this is the best we’ve got. Recall that the DPP won the 2004 election by a whopping 50.11-49.89%. In other words, it was basically tied. If we assume that on such a 50-50 vote, the KMT and DPP would each get 17 list seats, and we further assume that the KMT would sweep the six aboriginal seats, the DPP would need to win the 73 districts by a 40-33 margin. This seems unlikely, given a 50-50 vote, but that’s exactly what you get. Chen’s vote was higher than Lian’s vote in 40 of the 73 districts. In other words, this little exercise produces a one seat DPP advantage, 57-56. I was absolutely shocked by this result. Somehow a system that looks skewed in favor of the KMT is actually quite fair. A 50-50 election produces a 50-50 legislature. There must be something offsetting the malapportionment. In my previous post, I pointed to 16 districts that were very close to the overall national average in the 2008 party list vote. Chen won almost all of these districts (by very small margins). Ten of the twelve districts in Taichung and Changhua (in Central Taiwan) are among these 16 bellwether districts, and Chen swept them all. In other words, the DPP has an advantage in that a large group of districts tip its way slightly before the party gets to 50% overall. This is what offsets the malapportionment. I had never done this exercise before, but I’m sure that both the KMT and DPP did it before agreeing to the new system. No one wonders why the KMT agreed. They expected to benefit from it because they didn’t expect the DPP would ever get to 50% again. In 2008 at least, they were clearly right. The question is why the DPP agreed, and now we have another piece of the answer. If they can get to 50% they can win power. This system is not as skewed as it looks. Oh, before we conclude, let’s revisit that malapportionment. Now that the DPP has won Taidong (albeit in highly favorable conditions unlikely to hold in the future), we probably have to stop thinking of that seat as an automatic KMT victory. Penghu also deserves a second look. While the DPP hasn’t won anything there since 1993 and blue incumbent seems quite well-entrenched, this is not an unwinnable district for the green camp. According to the 2008 party list vote, this is a 52-40 district. Last December, the DPP candidate for county executive only lost by 600 votes, or about 1%. So really there are only 8 overrepresented seats that the KMT seems sure to win, not 10. Even the malapportionment isn’t as severe as it appears at first glance. If you’re really a nerd and need to know these things, I figured the Samuels-Snyder Malapportionment Index to be .0704, which makes the Taiwanese legislature a moderate, though not a severe, case of malapportionment. A month ago, the DPP swept three by-elections, picking up seats previously held by the KMT. In a little more that a week, four more seats will be up for grabs, and the media is frothing with expectations of another DPP sweep. I’ll have more to say about the individual races, but here I’d like to look at where these districts fit into the political landscape. The Legislative Yuan has 113 seats. 34 are elected by party lists, 6 are elected by aborigines in two three-seat SNTV districts, and the other 73 are elected in single member districts by the plurality rule. Technically, this is an MMM (mixed-member majoritarian) system, though with the nominal tier including both SMD and SNTV seats. It was used for the first time to elect the current legislature in January 2008. Most analysts assume that the party vote is a better indication of the underlying partisan structure of each district than the nominal vote, which is polluted by personal factors. Taiwanese parties are commonly sorted into two big camps. The blue camp is centered around the KMT and includes the PFP and New Party, while the green camp is centered around the DPP and includes the TSU. These days, the small parties are gasping for life, so we have almost returned to the pure KMT/DPP two-party system that prevailed prior to the New Party’s splintering away from the KMT in August 1993. At any rate, the best way to look at each legislative district is to sort them by party votes, aggregated into the blue and green camps. Overall, the blue camp held a 55.2%-40.4% advantage. However, the election was held at the nadir of green camp popularity, and things would certainly be much different if another election were held today. My guess is that the blue advantage would by 50-45 or so. The DPP won 13 districts in the 2008 election; they are marked with green English names. The other 60 were won by the blue camp. I want to draw your attention to the 16 districts in the middle of the table marked in red. These are median districts. There are 29 districts that lean more toward the blue camp, and 28 that lean more toward the green camp. Whoever wins these 16 districts will win a majority. (Actually, since the blue camp regularly sweeps all the aborigines’ seats, the green camp probably has to win 40 SMD seats to win a majority. As such, they would need to win three-fourths of this group.) In 2008, these 16 districts were all basically 55%-40% in favor of the blue camp. Not surprisingly, the blue camp easily swept all 16 seats. Recall that the national party vote was also 55-40, and that the gap would almost certainly be smaller today. So just how close would these bellwether districts be? By-elections shed some light on the situation. First, the DPP had a clear advantage in candidate quality in Taichung and Taoyuan, and arguably also in Taidong. In Taichung and Taoyuan, both DPP candidates had previously served in the legislature, having won seats in the old SNTV system. Both ran for re-election in 2008 and lost, but both put up a good showing. In Taichung 3, Jian Zhaodong 簡肇棟 faced a 13.7% (54.5-40.8) deficit on the party list, but only lost by 10.0% (55.0-45.0). Similarly, Guo Rongzong 郭榮宗in Taoyuan 2 faced a 16.1% partisan deficit but only lost by 9.6%. In Taidong County, the DPP’s candidate Lai Kuncheng 賴坤成 has run in numerous elections since 1992 and has generally acquitted himself well. He even won a term as mayor of Taidong City, which has about half the votes in Taidong County. So all three of the DPP’s nominees were battle-tested and formidable. The KMT, by contrast, did not field a great roster of candidates. I don’t think Chen Liling 陳麗玲 in Taoyuan had any electoral experience. She had previously worked in the county government on environmental policy, which makes her a nice person and a terrible candidate. Yu Wenqin 余文欽in Taichung was a little better. He was mayor of Taiping City 太平市, which had about half the votes in the legislative district. Township mayors are like major league baseball minor leaguers. That’s where many stars come from, but not all minor leaguers are ready for the big leagues just yet. At any rate, Yu had much less of a proven track record than Jian. In Taidong County, things are a bit murkier. The KMT’s candidate was Kuang Lizhen 鄺麗珍, who had been the county executive. She had not won the previous race in 2005, her husband had. However, he was removed from office for “irregular” behavior. He had appointed her as his deputy, so when he lost the office, she stepped into it. Both of them were reportedly pious devotees of the clientilistic arts, but perhaps they were a bit heavy-handed. The KMT did not renominate her for county executive in 2009, instead turning to the incumbent legislator, Huang Jianting黃建庭. However, in order to get her to step aside, they agreed to nominate her for the legislative seat that would open when Huang took office. Now, it is easy in retrospect to suggest that Kuang was a weak candidate, but candidates with illicit money flying around them tend to do quite well in Taiwanese elections. Certainly, her family had proven its ability to assemble a winning campaign team in the past. In this case, though, I would have to agree with the conventional wisdom and argue that she was a big drag on the KMT effort. So give the DPP a big edge in candidate quality. Third, turnout was very low. In the general election, turnout was just under 60%. In this by-election, turnout was just under 40%. We political scientists still have no idea what to make of turnout, but I’m damned sure it’s important in producing a result like this. If turnout had been higher, I doubt the results would have been the same. I just don’t know how they would have been different. Where does this leave us? I tend to think that the Taidong election result is probably just a one-time freak occurrence. Kuang and her husband were corrupt, heavy-handed, and bad at governance (one poll named her the worst county executive in Taiwan). The voters were simply punishing a terrible incumbent. (Yes, I know she wasn’t technically an incumbent since she was running for a different office. I also realize that the county executive race in December produced a nearly identical outcome with a much cleaner KMT candidate, except that the aboriginal vote swung the outcome the other way in that race.) I just don’t think this election suddenly produced a sea-change in the electorate. They’ll get over it and go back to voting for blue candidates next time. If I were Lai Kuncheng, I wouldn’t get too comfortable in Taipei. I attach much more significance to the two elections in Taichung and Taoyuan. While the DPP won both handily (55-45 in Taichung, 58-40 in Taoyuan), I don’t think that the DPP is so strong right now that it would easily roll through the 16 bellwether districts if another general election were held today. However, these districts are certainly not 55-40 anymore. They are probably around 50-45 and may even be even. Is this a stunning development? Why yes, it is. 2012 is more than two years away, and it looks to me like a lot of KMT incumbents will view that date with dread while a lot of DPP challengers will await it eagerly. You are currently browsing the Frozen Garlic blog archives for February, 2010.